Did you know that the aging rate DOUBLES every 8 years? This is what happens if you standby and allow the processes that take place inside your body, especially after you have turned 30, to go on undisturbed. The good news is you can slow down your ageing process and this is exactly what we will be talking about in the following. As we grow old, all the components of our system slowly decline, which makes us more vulnerable to diseases. This is a fact. However, people believe that ageing is a mysterious process, which, once it has started, cannot be stopped. This is false. Let us see why. This is what scientists concluded after years and years of researches and observations. They managed to discover the processes underlying the ageing phenomenon and noticed that all these processes have one thing in common: cells lose their elasticity and along with it their ability to regenerate. As a result, scientists figured out that ageing is a matter of regeneration rather than degeneration. They also came to the conclusion that safety measures must be taken as early as the age of 30, 40, or 50against the health problems and degeneration processes that affect the human body at 60, 70, or 80. Your ageing rate depends on what you do to keep your cell renewal rates high. Like everything else in life, it all depends on the choices you make. Your heredity may make you prone to heart disease, obesity or diabetes, but it lies within your power to reduce or even neutralize the effects of those genes. Besides, dangerous genes do not necessarily have to become active. They may remain dormant throughout your entire life. Whether your ageing process is going on at a normal, fast or slow pace is completely up to you. This means that you must take the responsibility for how you grow old. That is, of course, if you want to stay in shape even in old age. Who says that at the age of 80 you are supposed to be old and tired? If you manage your resources properly and you keep your cell regeneration processes going, your body may work well even at the age of 80. Your body is your creation and its proper functioning rests largely on your ability to keep it fit. It is only natural, with time, that everything should lose some of its qualities. However, it is equally true that some things degenerate faster and even earlier than they should, while others decline at a slower rate. In your case, the ageing rate may slow down significantly, if you support and boost your cell regeneration processes.This is the true secret of longevity! What you should keep in mind is that knowing the factors that make you grow old and avoiding them is not enough. At the same time, you have to act permanently to stimulate rejuvenation processes. While cell regeneration is a natural phenomenon, it requires constant reinforcement and boosting. One of the most natural and powerful methods to stimulate the rejuvenation powers of your body is Bio Synergy, a bioenergetic battery for cell regeneration. 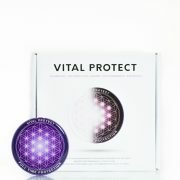 It is based on a colloidal gold solution that sends very subtle information to the DNA in your cells. The effects of this transfer of information are the stimulation of the cells’ power of regeneration and the revitalization of your entire body. This is where all the other health improving processes start. Daily therapy sessions using Bio Synergy will enable your body to replenish its resources and maintain its homeostatic balance, making it stronger and increasing its resistance to disease. The most natural consequence of using the Bio Synergy bio-battery is that you will have a refreshed vital energy and a rejuvenated appearance. Share this post "The secret to slowing down the ageing process: cell regeneration"